P6 has the option to insert page breaks after each grouping. 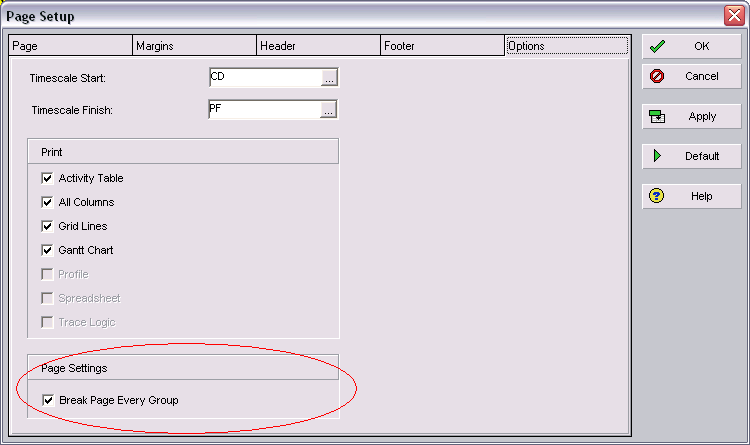 To use this feature, “Break Page Every Group” needs to be selected in Page Setup Options tab. If there are multiple layers of grouping like shown below, the first grouping will be used for page breaks. The first grouping, in this case WBS, will be used for page breaks. If the “Page Break Every Group” is disabled. it is probably because the indent option is checked in Group & Sort Screen. 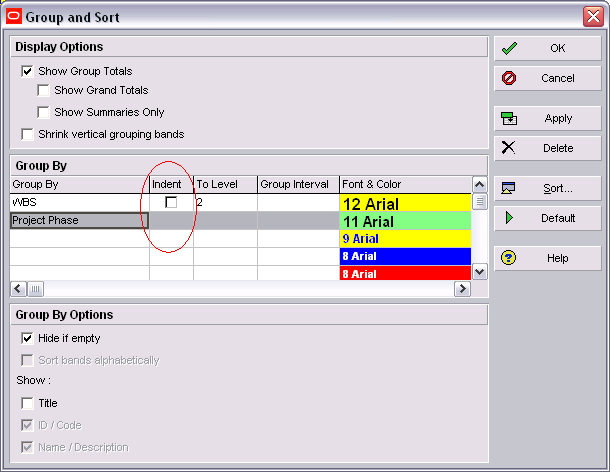 If you want to use this feature you must uncheck the indent option in Group & Sort. According to P6 terminology, a baseline schedule is a complete copy of a project plan that can be compared to the current schedule to evaluate progress. 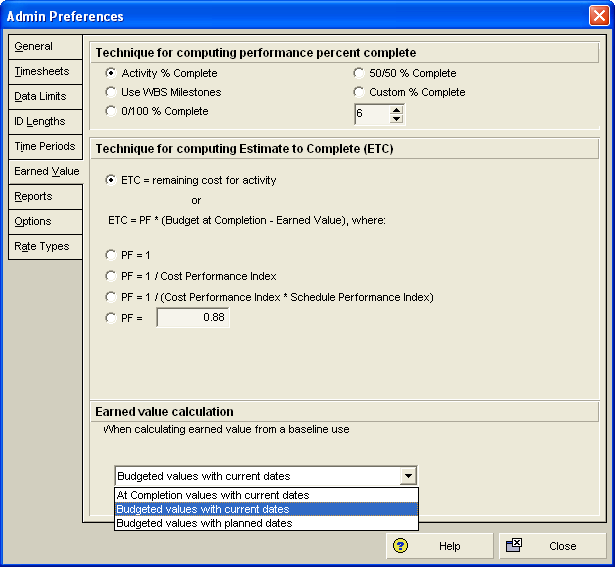 P6 allows an unlimited number of baselines per project, depending upon administrative preference settings. Unlike P3, P6 baselines do not exist as separate projects that the user can access unless the baseline schedule is restored and detached from primary schedule. There are 2 types of baselines Project and User Baselines. As shown in figure below only up to three user baselines and one project baseline can be assigned per project for comparison purposes. The user can assign primary, secondary, and tertiary baselines. User baselines are user specific, meaning that another user opening the project will not be able to see the same baseline unless that user also assigns the same baseline. 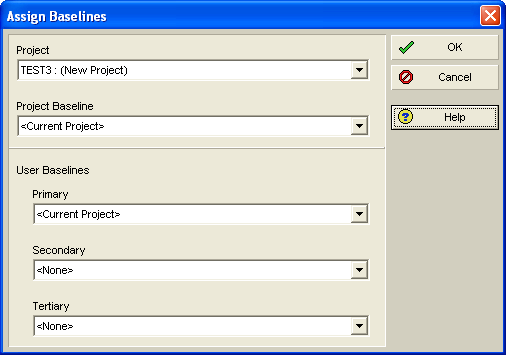 If a baseline is not selected, the current project is used by default. This means that planned dates are used as baseline dates. If another project is defined as the baseline, then the baseline dates are determined by the Earned Value Calculation option under Admin, Admin Preferences, Earned Value tab shown in figure below. If Budgeted values with planned dates is selected, the baseline dates are equal to the Baseline project’s Planned Start and Finish dates. If either At Completion Values with Current Dates or Budgeted Values with Current Dates is selected then the baseline dates are equal to the Baseline project’s Start and Finish dates. There are two ways of adding a new baseline shown in figure below. Save a copy of the current project as a new baseline saves the current state of the open project as a baseline for the project. When you save a copy of the current project as a new baseline, the baseline title uses the project name and a suffix of – Bx, where x equals 1 for the first baseline you save for a project, 2 for the second, and so on. The baseline name can be changed. Convert another project to a new baseline of the current project allows the user to select a different project to use as a baseline for the current project. When you choose to convert another project to a baseline, the project you want to convert cannot be open or have baselines assigned to it. The converted project’s name is used as the baseline name.